It may not be autumn, but you can still go out and find spring wonders all around you. Nice…. 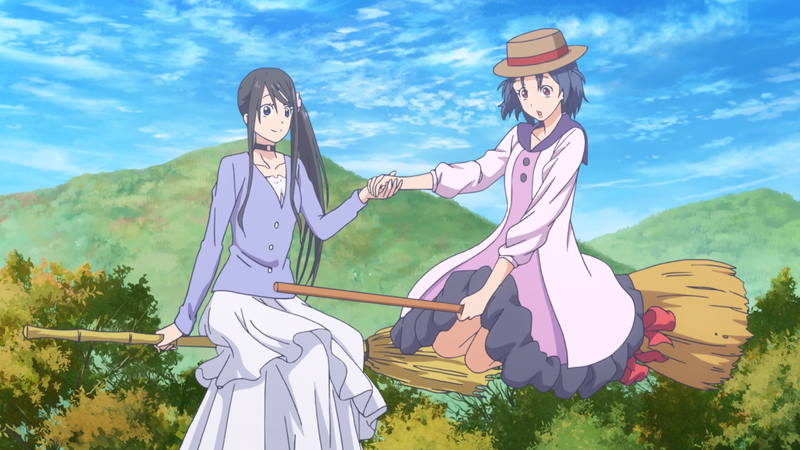 dat Flying Witch moment…. How desolate our world that it does not contain a second season of Flying Witch. Teko looks so beautiful in her flying witch dream! It’s seems strange how Pikari and Teko don’t seem to be together as much anymore. At this rate they will be battling each other by season 3 lol!